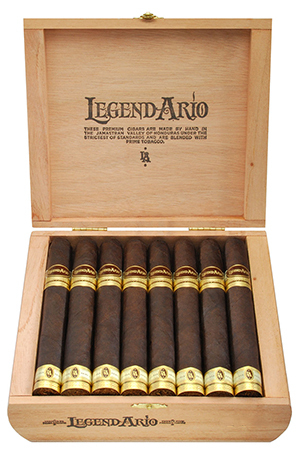 Camacho's LegendArio Bertha Maduro premium cigars are made by hand in the Jamastran Valley of Honduras and are mild/medium-bodied. Featuring Honduran binder and fillers tobaccos, the Bertha Maduro's flavor profile is quite pleasant and boasts a rich, earthy smoking experience with medium strength complimented by a creamy light finish. These cigars deliver quality tobacco and construction at a very reasonable price.